Funeral services for Mr. Francisco Pulido, Sr. will be held Wednesday, September 30, 2015 at 2:00 p.m. in the chapel of West’s Mortuary in Montezuma, Georgia. Visitation will be held Tuesday, September 29, 2015 from 6 to 8:30 p.m. at West’s Mortuary. Burial will follow at Oglethorpe Memorial Gardens. Mr. Francisco Pulido, Sr. passed away Sunday, September 27, 2015 at his residence. He was born February 8, 1953 in Cheran, Mexico. He was preceded in death by his father, Melchor Pulido. He is survived by his wife, Reyes Pulido of Oglethorpe, Georgia; two daughters: Mary Avila of Oglethorpe, Georgia and Carol Pulido of Redding, Pennsylvania; four sons: Francisco Pulido, Jr. of Marion, North Carolina, Ricardo Pulido, Magdalino Pulido, and Jamie Pulido of Oglethorpe, Georgia; his mother, Sara Hernandez Pulido of Michoacan, Mexico; his brother, Eddie Pulido of Redding, Pennsylvania and sister, Amporo Pulido of Cornelia, Georgia; twenty-one grandchildren, five great grandchildren, other loving relatives and friends. Funeral services for Ethelrine Martin Rice will be held Saturday, October 3, 2015 at 11:00 a.m. in the Chapel at West’s Mortuary, Montezuma, Georgia with Reverend Alvin Turner officiating. Burial will follow in Mt. Pleasant Cemetery. Ethelrine was born in Macon County, Georgia on February 18, 1931 to Jimmy and Melissa Haugabook Martin. At an early age, she accepted Jesus Christ as her savior and joined the Harrison Chapel Baptist Church. She grew up in Montezuma and attended Flint River Farm School. While still a young adult, she moved to Florida and worked numerous jobs before retiring and relocating to Montezuma to be with her family. She passed away Friday, September 26, 2015 at Piedmont Henry Hospital in Stockbridge, Georgia. Preceding her in death are two children: Vinell Burnam and Debbie Thomas; one great grandchild, Ny’asia Burnam; four brothers and three sisters. Her beautiful life will forever be cherished by her children: Jackie Martin (Wanda) of Brooklyn, New York, John Thomas Johnson of Long Beach, California, Joann Johnson of Montezuma, Georgia, Robert Burnam (Tisha) of Marshallville, Georgia and Ronald Burnam of Montezuma, Georgia; grandchildren: Tonya Johnson, Gene Moore, Charmain Black, Laquasha Warren (Jacolby), Shanice Burnam (Brandon), Samaiya Burnam and Kaliegh Burnam; fourteen great grandchildren, one great great grandchild, Nyasia Johnson; a devoted friend Shay Stevens; a host of other loving relatives and friends. 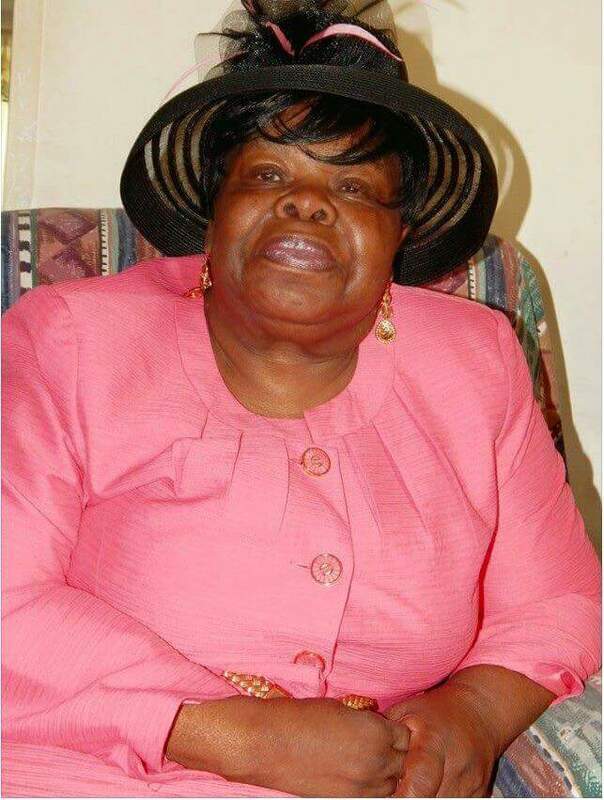 Funeral services for Mrs. Mamie Harvey McLarty will be held on Saturday, September 19, 2015 at 11:00 a.m. at the New Hope Baptist Church in Montezuma, Georgia with Reverend Allen Waters officiating. Burial will follow in the New Hope Cemetery. Mrs. McLarty passed away Friday, September 11, 2015 at the Fort Valley Health Care Center, Fort Valley, Georgia. Mrs. Mamie Harvey McLarty was born on October 14, 1937 in Montezuma, Georgia to the late Mrs. Mamie Tookes Harvey and the late Jerry Louis Harvey. She was employed for a number of years as a CNA at Kirkhaven Nursing Home in Rochester, New York. She was united in holy matrimony to Mr. Franklin McLarty and they shared thirty-four years of happiness together. Mrs. McLarty was a devoted member of New Hope Baptist Church. She leaves to cherish her memory, her husband of thirty-four years, Franklin McLarty of Montezuma, Georgia; her children: Sheila Thomas (Myron) of Austell, Georgia, Horace Davis (Felicia) and Derrik Davis of Rochester, New York, Steven Davis (JoAnn) of Lenordwood, Missouri, Marie Flemming of Ft. Valley, Georgia, Valerie Heard, Christina Murray (Terrell), Kittie McLarty, Ebony McLarty and Gregory McLarty of Rochester, New York; sisters and brothers: Missionary Rosie Carter of Montezuma, Georgia, Ms. Barbara Jackson of Brandon, Florida, Reverend Willie Gene Harvey (Pearlene) of Fort Valley, Georgia, Lucious Harvey (Virginia) of Atlanta, Georgia, and Frederick Harvey of Montezuma, Georgia; a special friend, Ms. Brenda Simmons of Rochester, New York; 40 grandchildren, 33 great grandchildren and a host of nieces, nephews, cousins, other relatives and friends. Visitation will be Friday, September 18, 2015 from 6 to 8 P.M. at New Hope Baptist Church.